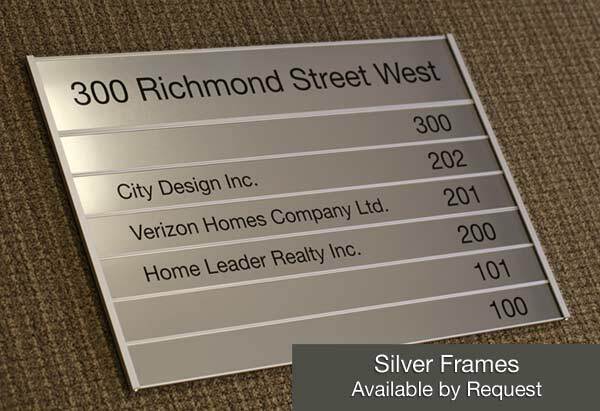 Display office suite directions, room numbers, apartment numbers and more with our wayfinding directory signs. 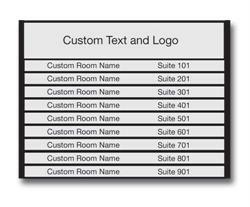 Top header area and up to 12 directory nameplate insert areas are all fully customizable at no extra charge. 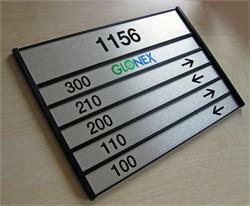 Removable and replaceable sign plate units makes changing any one of the suite numbers or room name plates convenient. A clean, professional directory sign that's easy to use and easy to update. A unique wayfinding sign used by building contractors, property owners, apartments and building management. Standard 16" wide directory sign includes a 3" tall header with up to (12) 1.5" tall nameplate slots. Directory measures 16-5/8"W x 22-5/8"H overall. Any of the 12 unused Directory slots will simply remain blank (exact slot count directories can be fabricated but will add 12 business days minimum). Custom sign sizes, headers and insert heights available by request - Please send request for non-standard directory signs or call us at 701.526.3835. 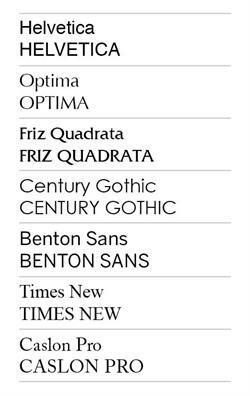 Please email us your sign customizations, text and logo requests. 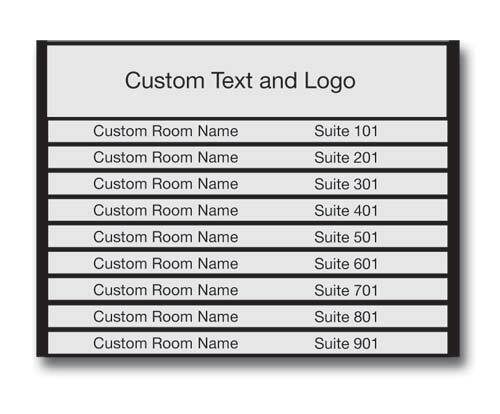 Personalize the top directory header portion as well as up to 12 of the changeable insert nameplates. Black architectural metal frame and custom name plate color choices - other frame colors available by request. Screw-mounted sign installation recommended. We recommend screw mounting (screws not supplied) your directory signs due to the size and weight of the products. You are welcome to mount the sign using alternate methods, but Office Sign Company will not be held responsible for damage caused to your mounting surface and/or directory product. You will receive a digital proof of your design prior to production. This will be sent to the e-mail address you include on your order. Please reply to this e-mail with any changes or revisions. 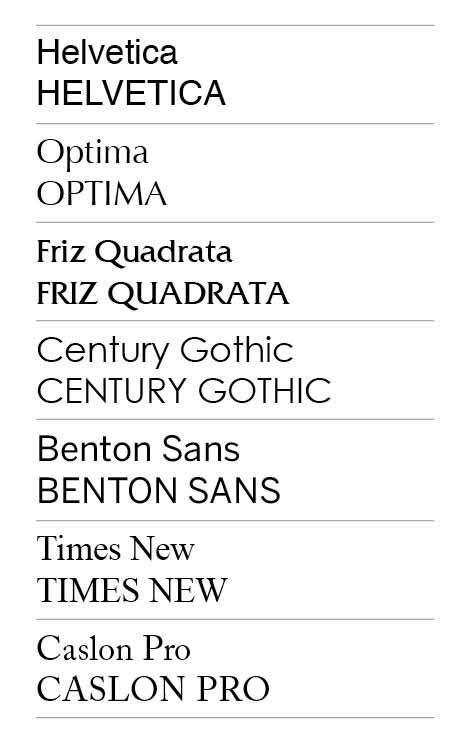 The digital proof must be approved before the order is produced. Please Note: due to the nature of our Brushed Silver Aluminum, no two batches are identical. If you plan on interchanging directory inserts frequently, you may find your new brushed silver inserts do not perfectly match your existing inserts. We recommend choosing a different color of aluminum if this is concerning to you. Please contact our customer service team with any questions!